Many Americans are familiar with The Salvation Army's thrift stores which fund our well-known drug and alcohol rehabilitation programs. Our iconic red kettles have also become a symbol of the Christmas season and the spirit of giving. 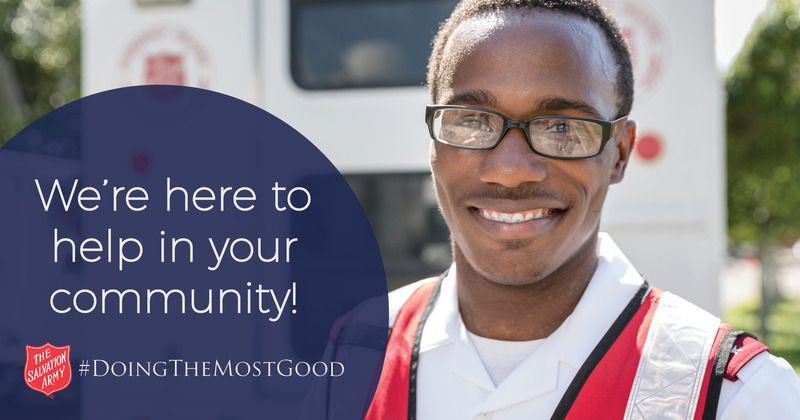 But, in hundreds of communities across the United States, The Salvation Army also operates programs and services which are designed to meet human need in Christ's name, alleviate human suffering, and promote wholeness by addressing the spiritual, social, emotional, psychological and physical well-being of those we serve. The Salvation Army's social service programs vary slightly based on local and regional needs. Programs and services for homeless people, victims of domestic violence, at-risk kids, and so much more are available.